Sometimes raising livestock means you dive in headfirst and encounter a steep learning curve. Lots of mistakes usually occur as well, unfortunately. But it seems that is just a fact of life. There are some pursuits that are more likely to have well-researched information and those that don't, so it's nice to see someone publish a resource on raising goats that is based on natural practices and direct experience. 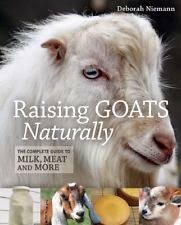 Raising Goats Naturally, the Complete Guide to Milk, Meat, and More by Deborah Niemann seems to fit the bill and would be an ideal book for someone just getting started with goat ownership. "Even if we owned goats for a hundred years, we would still be learning." So true but so hard to grasp when you just want to know how to do something right! Even when we help out with other farm's barn chores from the same 4H club, there are so many different ways to achieve the same outcomes depending on your space, available feed, and mix of animals in your herd. Regardless, Deborah's chapter "Day-to-Day Life With Goats" would be an awesome read for anyone wondering if new goat ownership is right for them. For myself, I particularly enjoyed her chapter on feeding. She made several points that I plan on considering with our own herd, namely feeding alfalfa pellets for more economical usage of alfalfa...our girls waste so much of their alfalfa...and sourcing a concentrate with higher amounts of copper. Good food for thought for sure. 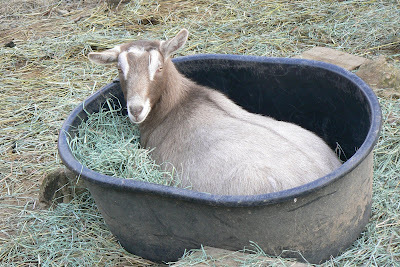 Since the majority of our goat herd has Nigerian Dwarf influence, I also enjoy her anecdotal stories from her own Nigerian Dwarf herd as many resources do not take this breed into account. Overall, I would definitely consider this book as a permanent part of our household library. Read and enjoy! As we are getting close to our four miniature goats kidding at the end of March, it was time to give everyone here their annual CDT booster. That would include Mr. Mo the buck, all dry does, plus the mamas-to-be. The buck pen was in desperate need of cleaning. His granulated minerals needed refilling. New water buckets set out so that the others could be put through a cycle of cleaning. His salt block needed to be refreshed. Just all the little things that need time and attention to keep your animals healthy. Only one of our Indian runner drakes has survived the predators around here but at least a wild mallard has currently befriended him...completely another story. Regardless, they needed moved back to the garden area after their last escape so that they could begin again to conquer our slug problem there. There is plenty of foraging there for them, but they still do need a water source, so locating and setting that up was added to the things-to-get-done before it starts pouring rain again list. At this point in the year, if the sun does manage to come out, we might actually creep up to 50 degrees or so. When that happens, the horses do like to get out of their blankets for a good roll in the pasture and a little more surface area to soak up those warm rays without getting sweaty and sticky under their blankets. And that was the case on this Saturday. Off came their blankets and did they ever sure enjoy it. But of course, the flip-side is to remember to get them back on before nightfall. Nature dictates that one, it will either start raining again, or two, the skies will remain clear and then the temperatures will drop. Blankets back on regardless. So as enjoyable as our backyard homestead is, it does come with a certain investment of time and effort. But compared to being stacked like cord wood on a small city lot somewhere, I just smile and am perfectly content. Waiting for cloudless days. Waiting for the mud to dry. Waiting for the right time to spend a chunk of time outside without being cumbersomely bundled up. But perhaps I've waited long enough. So...no more waiting. I just need to get out and do...or I will have blown my window of opportunity to wake up the garden and get things rolling. So last night, H-Bob and I pulled out our seed collection. We surprisingly have leftover seeds from most of what we usually plant, although I did notice that quite a few were purchased in 2009 which is pushing viability a bit. On our next trip to the local farm store together, we plan on taking our list and browsing the seed racks. 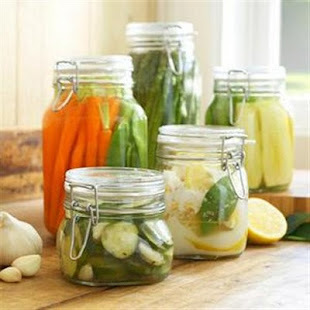 There's always something new to try...like celery...or a different variety of tomato or pepper to attempt. Just one of the beauties of growing your own veggies...it's just never the same. Our next step will be to fill up some seed starting trays with soil, put them on our seed-starting mat in the house, and wait for them to sprout. Then they promptly head out to the greenhouse under the fluorescent lights to do their thing. In the meantime...as long as we don't keep waiting for those optimum conditions...our job will be to haul up the composted horse manure to the raised garden beds to top dress them for the spring planting. That will give things a month or so to settle in before some serious outdoor plantings can occur in April. Of course there are other garden chores...finish tying up the new Marionberry canes, cutting down the everbearing raspberries, constructing some new raised beds, hauling up used goat bedding to cover the garden paths, and the list could go on. But at least we've made a start...stay tuned. Have you been keeping up with us? It's County Fair time. Head over to our family blog SixintheNorthwest.blogspot.com and read all about it...County Fair - Day Four and Still Functioning. Some helpful information for our new goat owners.